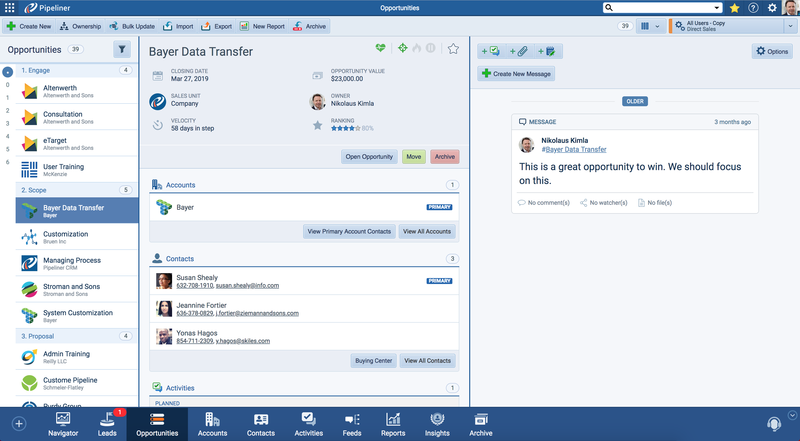 We are happy to announce the Pipeliner Cloud CRM App v1.7.0 release of Pipeliner CRM Cloud. This release includes even more features from desktop version, many mobile related features and stability fixes. 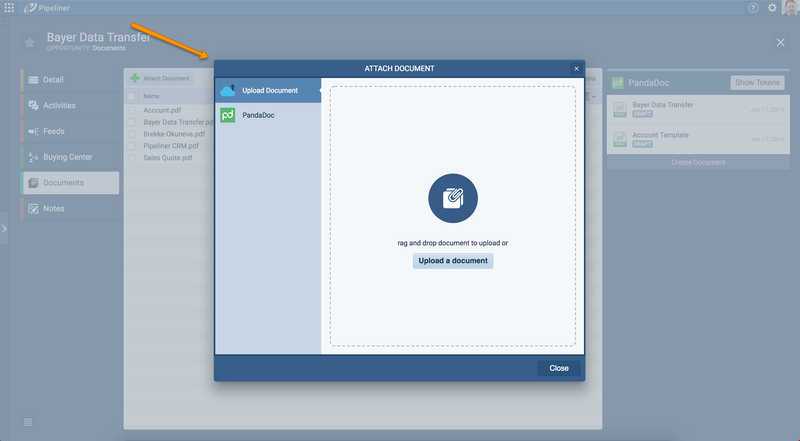 We’ve updated our Document Management upload feature so it’s more easier and visually pleasing. You also now have the ability to Download documents from the app! Simply click on the arrow dropdown on the right side. 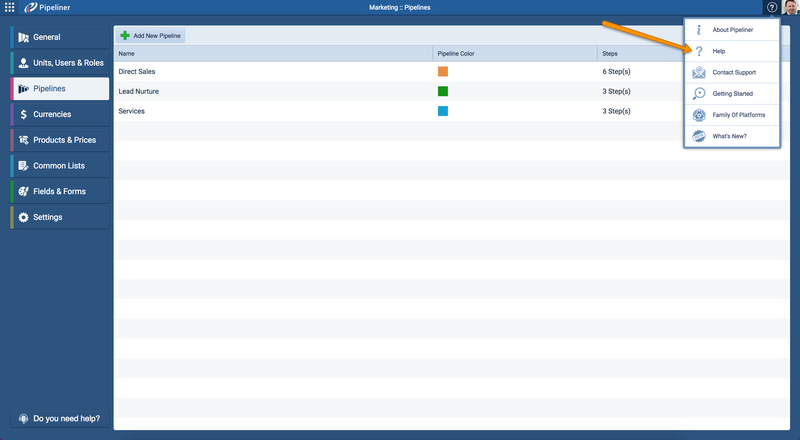 In Navigator, Calendar and Task Board Agenda sidebar, you will now get a Quick View information upon hovering over Opportunities, Tasks and Appointments! 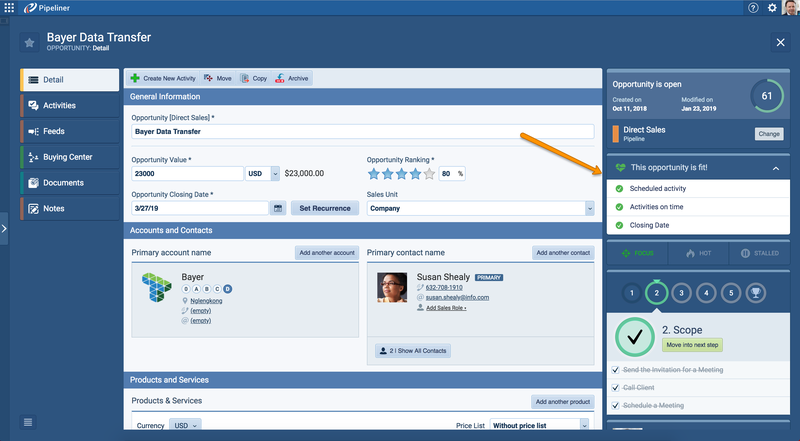 We’ve added the Fitness functionality to the Lead and Opportunity detail! Within the detail you can now view and edit the Fitness status, if needed create Activities and update the Closing date. We have updated the visuals of the Activities Calendar (font, colors, paddings, etc.) so it’s easier to read. The Contact Support window has been updated with new picture and new priority options: Low, Normal, High, Urgent. 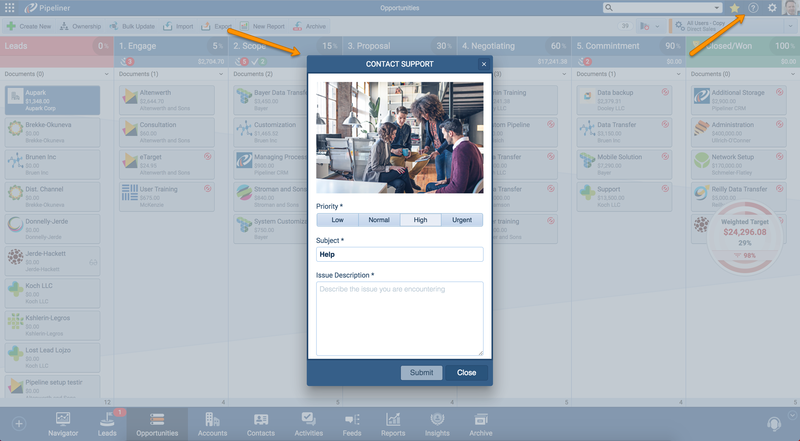 You can access Contact Support window in the top panel by clicking on the Question mark icon ➝ Contact Support. Activities Tasks has been visually updated! The design for choosing priority for task has been improved from dropdown to Tabs. We’ve added a tool-tip explanation within the App Switcher for Go-Ahead and SalesPOP! pages. You can find the App Switcher on the left side off the top panel. Small improvements has been done to the loading speed of the menu items. We’ve upgraded Pipeliner CRM under the hood, alongside some general bug fixes that improves the Apps performance. 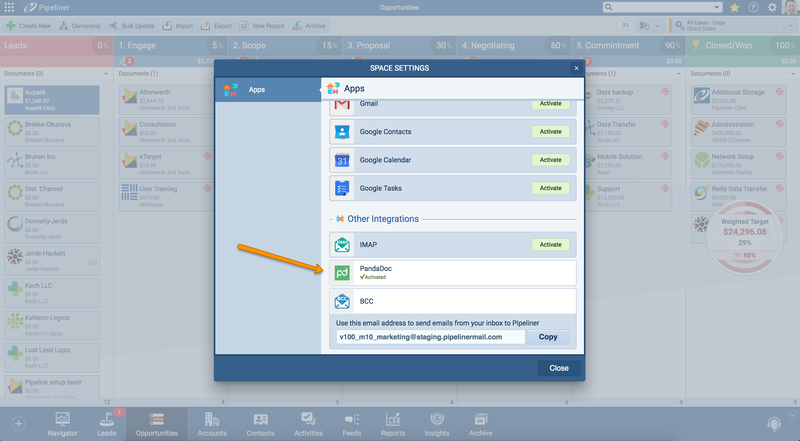 PandaDoc integration with Pipeliner is here! PandaDoc enables you to send documents online, on your phone, and tablet. It’s widely used by sales people to send out sales proposals, sales quotas and invoices to be sign. Sync PandaDoc with Pipeliner and try it now! 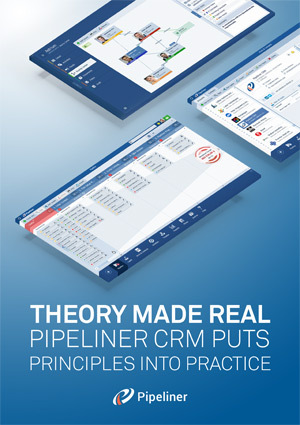 And we are introducing the update of our Pipeliner CRM Developers Page with the API documentation. We have updated and improved the Compact View: added loading animation, Account Industry info, Contact Job Title and link to Account. Visual improvements to Preview and Compact View so they are more visual friendly. For better navigation, in Reports power panel sidebar we’ve updated the Columns component with new visuals. It is now more clear for users to see the tree structure. 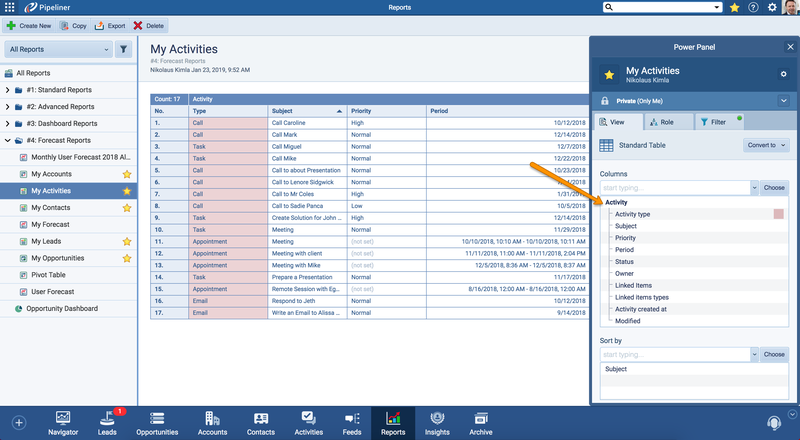 In Forecast Reports users now have the ability to reorder Columns directly in the report with simple drag-and-drop! You can now get API Access detail in Admin section! We’ve added the possibility for users to use general API access in General tab of the Admin section. Please note that the API access is restricted only to business and enterprise versions. 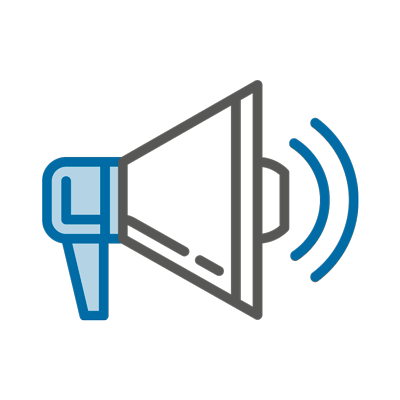 Contextual Help Tours are now available in Admin section! 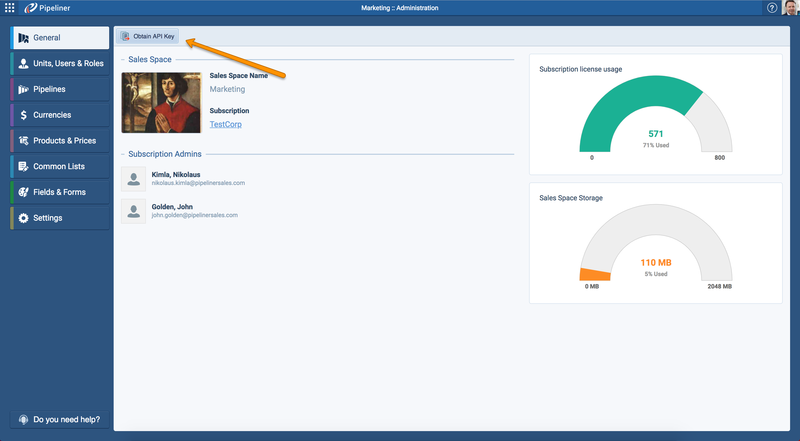 You can now start Pipeliner Admin tours by clicking on the Question mark icon ➝ Help button.